CORPORATE SELLER HAS ACCEPTED AN OFFER. BOTH THE SELLING AGENT AND BUYER HAVE BEEN NOTIFIED. AWAITING EXECUTION SO WE CAN CHANGE TO PENDING. 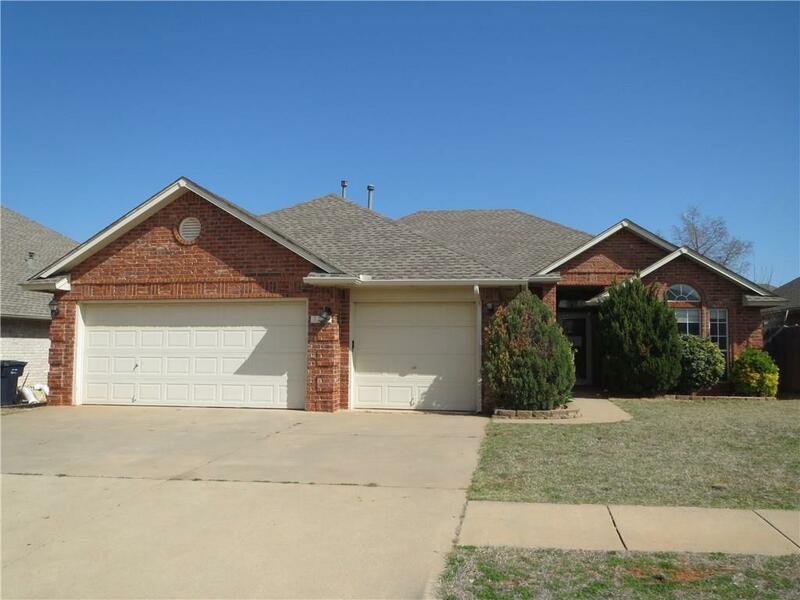 Only minutes away from Lake Hefner with 4 spacious bedrooms, a fireplace, breakfast bar, covered patio, a large master bed/bath with a huge walk-in closet and garden tub, laundry room with cabinets, a separate dining room plus table space in the kitchen, 3-car garage, much more! Employees and family members residing with employees of JPMorgan Chase Bank, N.A, its affiliates or subsidiaries are strictly prohibited from directly or indirectly purchasing any property owned by JPMorgan Chase Bank, N.A. Exempt from disclosures/disclaimers. Property needs work. Listing office does not have any information on property condition, title history, or needed repairs. This is an REO property being sold strictly as-is with all faults. No pre-closing repairs will be made by any party for any reason. Buyer to verify all information at their own expense.